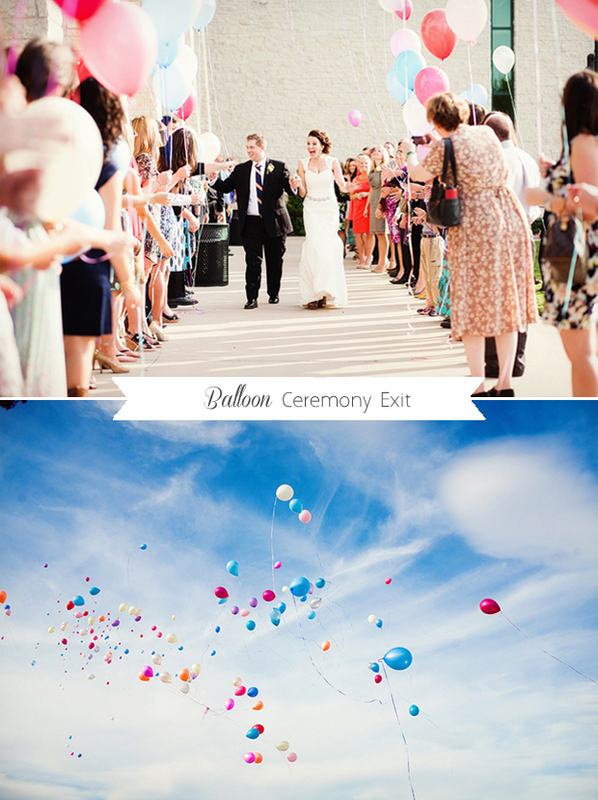 Balloons are an awesome way to add a pop of colour and fun to your wedding! Plus they’ll get everyone in celebration mode straight away – get your guests to surround you with a bunch of balloons and create some magical shots when they release them. 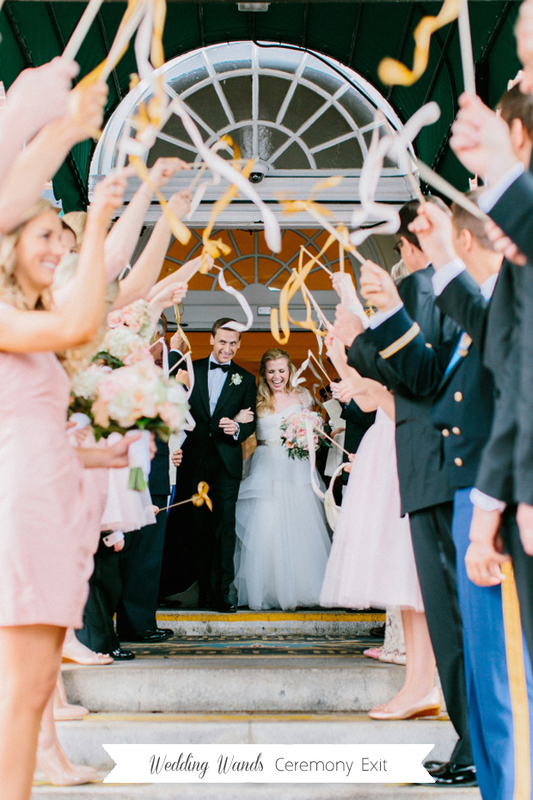 If you want something fun to celebrate with after the ceremony, wedding wands are a great alternative to confetti. Guests will have a bit of craic waving these about and they can be easily made in your wedding colours to tie the day together nicely. If you’re looking to create a cheery, colour-filled exit, these little guys will work a treat! Pop poms are lots of fun and the photographer will have a ball capturing shots of everyone throwing these about. 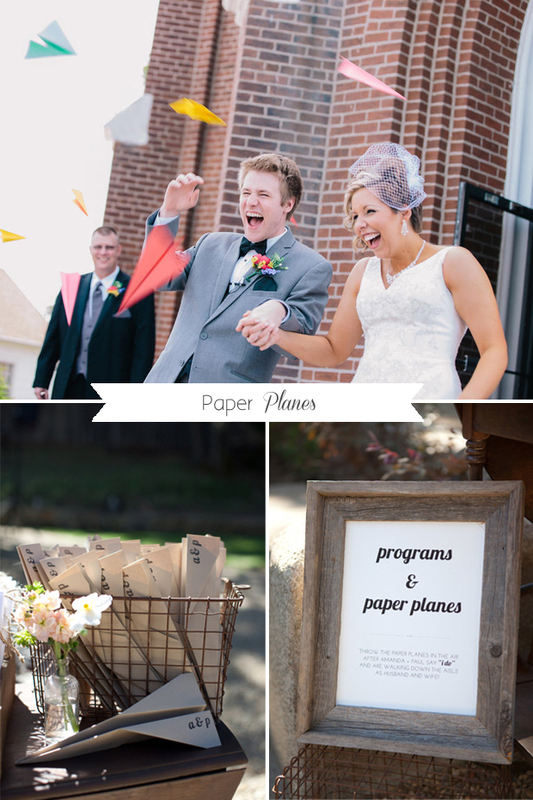 If you and your new hubby or wife love your travel or have a bit of a jet-setting history, paper planes would make a great ceremony exit idea! 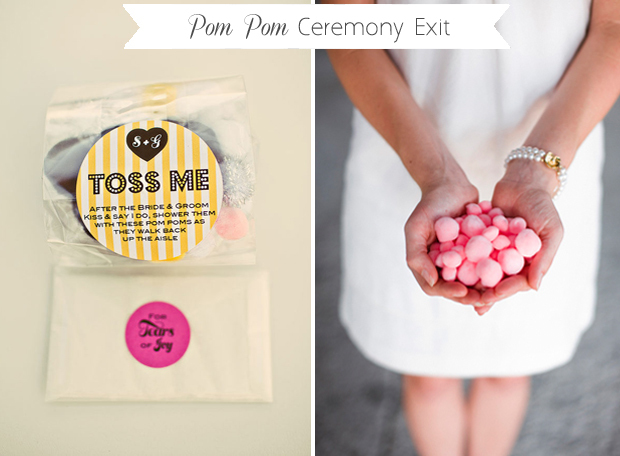 Easy to make and great in photos, guests will have so much fun throwing these at the happy couple post-ceremony as well. 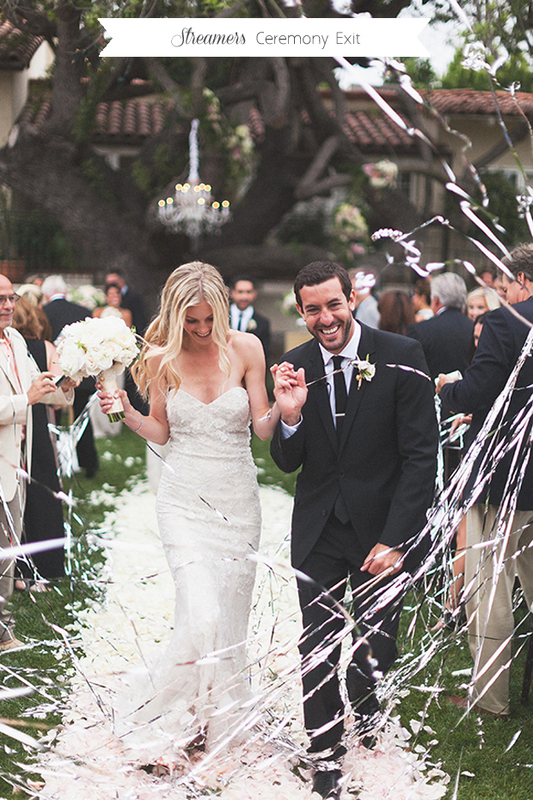 If you’re looking to create a fun and uplifting exit, streamers will do the job brilliantly! These party faves look amazing in photos and they’re sure to add to the celebratory atmosphere. 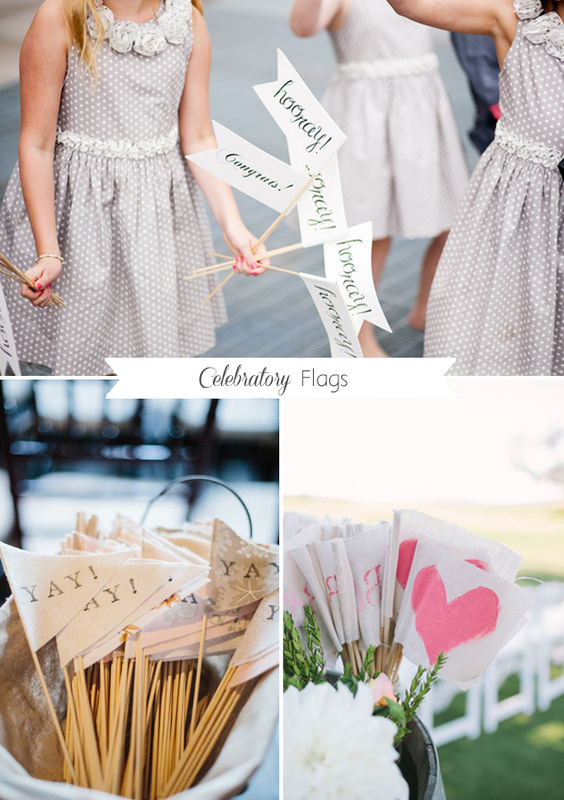 Like wedding wands, flags are another really fun option for venues that have banned all things confetti-like. 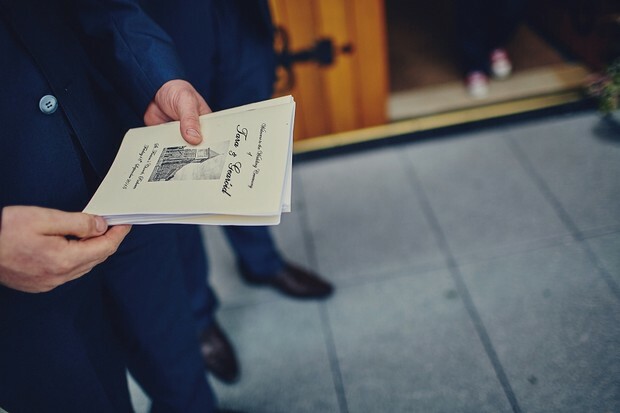 Get creative and have your names or initials printed on them or cute slogans like ‘Yay’ and ‘Hooray’ or even little love hearts in honour of the romantic occasion. 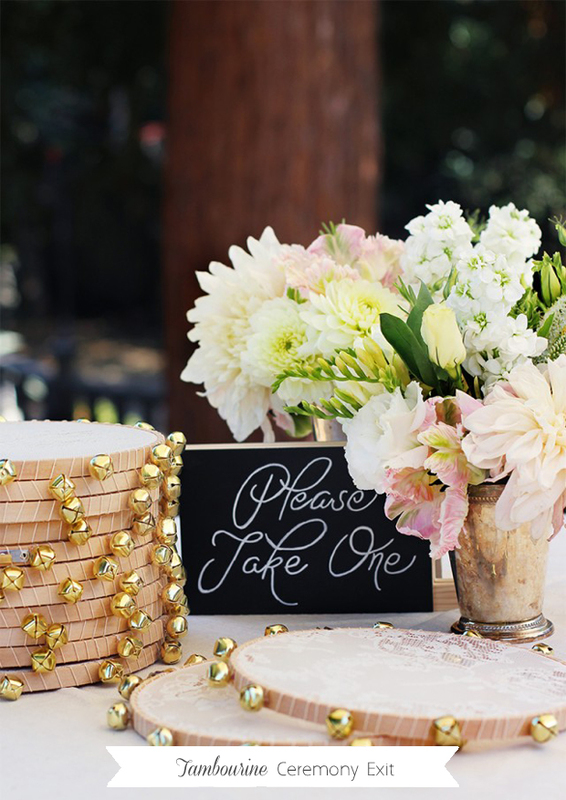 If you’re looking to create a bit of a party atmosphere, this cute little idea will work a treat! Have your guests greet you with mini tambourines for a fun, festive vibe. Check out the tutorial for these lace tambourines here. 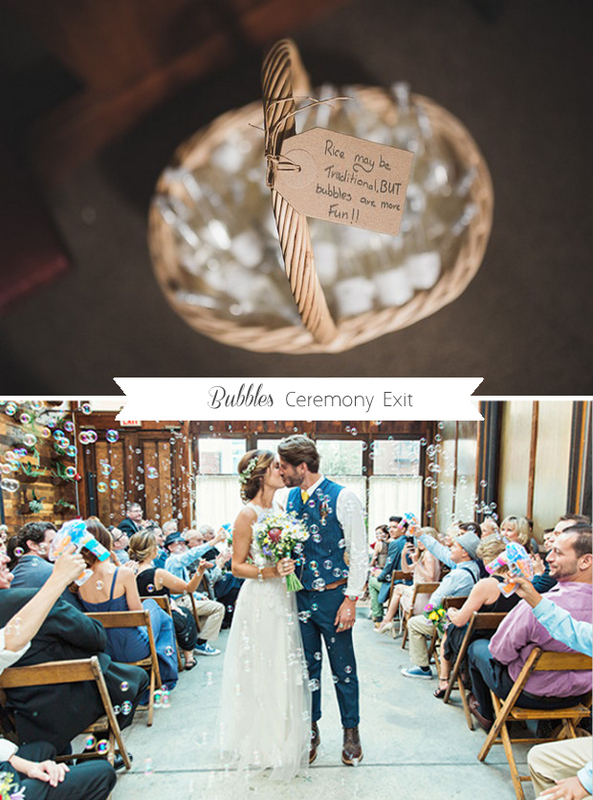 If you’re having a summer wedding, you might like the idea of making your ceremony exit to lots of bubbles bobbing in the air! 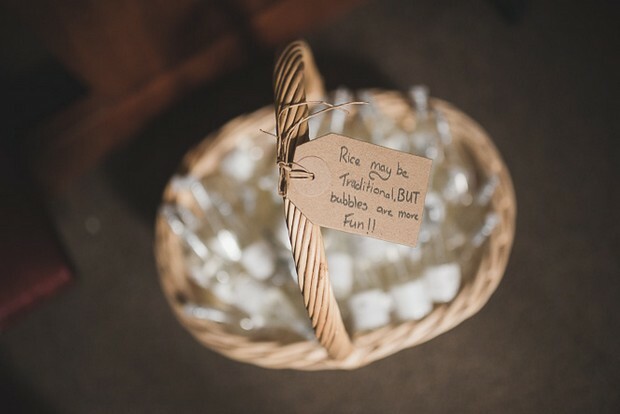 You can be guaranteed your guests will love a bit of nostalgic fun with their bubbles too. If you’re a fan of hurling, this could be a brilliant way to make your big exit. 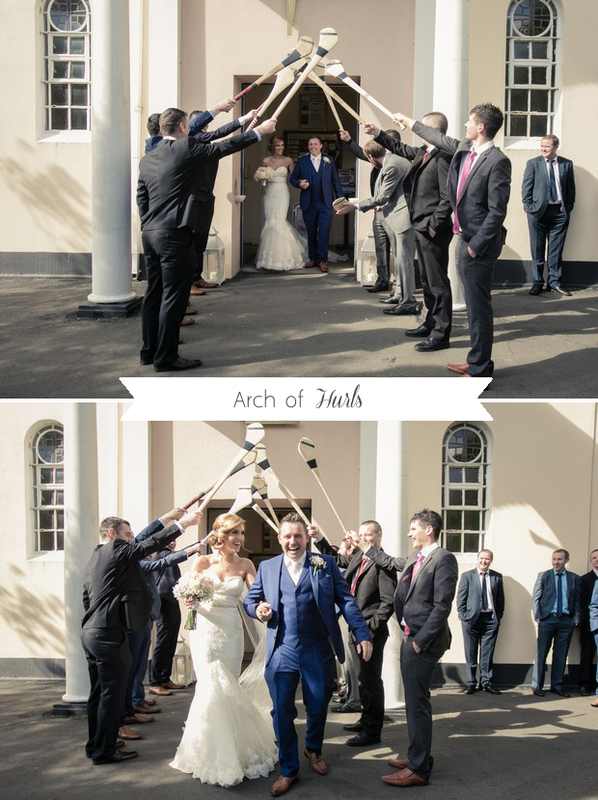 Get your pals to create an arch with hurls as you make your first journey as newlyweds! And as you can see from Laura and Graham’s Big Day, the pics are epic too. 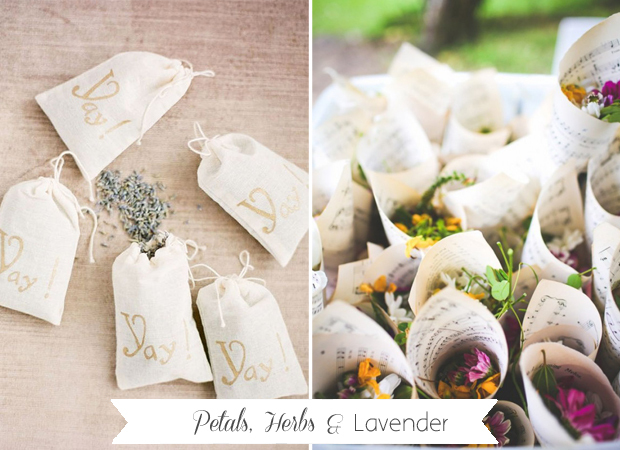 If you’re looking for a romantic but eco-friendly alternative to confetti, flower petals and lavender would make for a fab exit. Plus they’ll smell gorgeous too! If you’re not keen on a flowery option, dried herbs or bird seed (pair it with a love bird sign for extra cuteness) will work a treat as well. 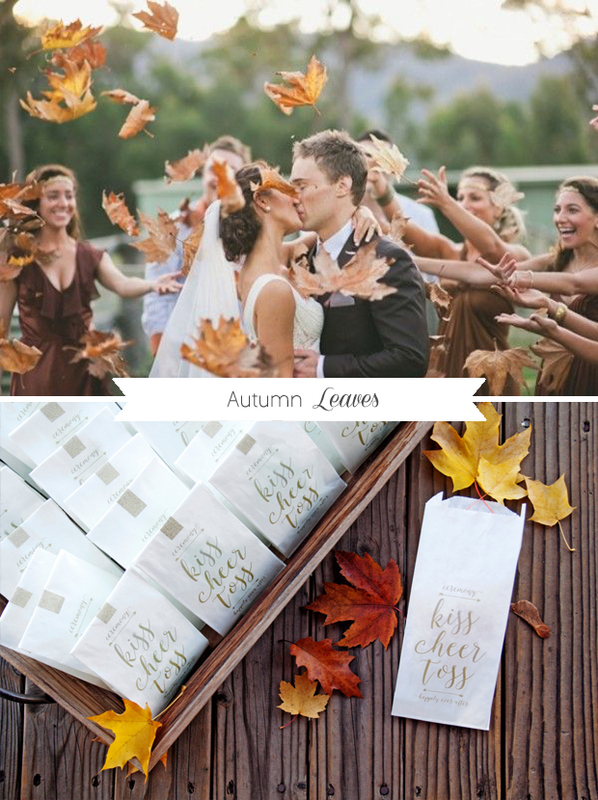 If you’re tying the knot in autumn, make use of natures offerings and have your guests shower you with leaves in gorgeous rusty tones as you leave the ceremony. Or if you’ve opted for a fairytale winter wedding, fake snow would be equally as gorgeous.